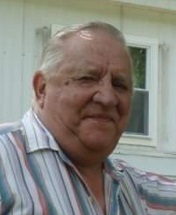 Obituary for Aaron W. Haines, Sr. | Seamon-Wilsey Funeral Home, Inc.
SAUGERTIES…Aaron W. Haines, Sr., 90, of High Falls Rd., died Monday April 15, 2019 at his residence. He was born in Lexington, N.Y. on March 3, 1929 to the late Aaron and Elizabeth Stacey Haines. He excelled in 4-H winning many awards. He served with the U.S. Navy and was honorably discharged. Aaron enjoyed travelling when driving trucks. He owned and ran his own ambulance company. He drove all over the eastern seaboard for a moving company. He was especially good at fixing vehicles where he was most recognized as a mechanic at Ted’s Exxon in Saugerties. When he wasn’t at the garage Aaron liked to be in the outdoors hunting, fishing and searching for metal for recycling. He was a member of the Katsbaan Reformed Church and The Odd Fellows. Survivors include his wife of 37 Years Barbara E. Russell-Haines; son, Aaron Haines and wife Cassandra Haines of Suffolk, VA; grandchildren, Maria, Erin and Melody, former daughter in-law Jennifer Purkey and Husband Thomas Purkey; nieces, Betty Wolfe, Jean Keator and Dot Haines; nephew, Ted Jr.; many great nieces and nephews. He was predeceased by his brother Ted Haines and adopted brother Gordon Hammond. His Funeral Service will be held Saturday 9:30 AM at the Seamon-Wilsey Funeral Home Inc., cor. of John and Lafayette Sts., Saugerties. Burial will follow in the Katsbaan Cemetery. Visitation will be held Friday from 2-4 and 7-9 PM. Condolences may be shared on Aaron’s Tribute Wall at SeamonWilseyFuneralHome.com. In lieu of flowers, the family asks for a memorial donation to be made to a charity of your choice in his name.